The Stockton-Modesto area is a region in Northern California that sits directly east of the Bay area. Active adult communities in the Stockton-Modesto area enjoy the beautiful year-round climate of the region and the bountiful recreational opportunities, some of the major draws that bring active adults and retirees to the region. With mountains, deserts and beaches a short drive away, 55+ communities in the Stockton-Modesto area are never far from your next adventure. Age-restricted communities in the Stockton-Modesto area enjoy the varied landscapes in the region. 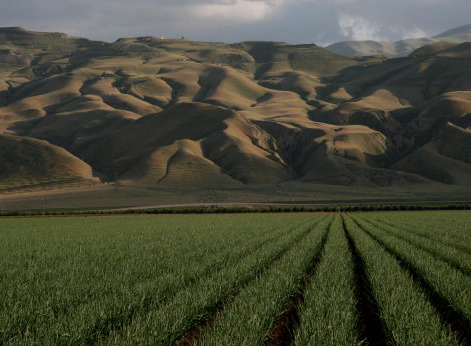 The cities themselves are located in California s Central Valley, a large, flat valley that covers 22,500 square miles and takes up approximately 13% of California s total land area. Stockton, just 24 miles north of Modesto, is located along the San Joaqin River and experiences hot and dry summers with mild winters and has roughly 14 inches of rain per year from October through April. Modesto has a similar climate, with the hottest days reaching 94 degress and the coldest roughly 37 degrees. Modesto averages 12 inches of rain per year. The region has less than an inch of snowfall annually, if any at all. 55+ communities in the Stockton-Modesto area are located in the region refered to as the North San Joaqin Valley within the Central Valley. This region is bordered by the Sacramento-San Joaqin River Delta in the north, the Tehachapi Mountains in the south, the coastal ranges in the west and the Sierra Nevada Mountains to the east. Active adults in the Stockton-Modesto region will enjoy the varied geographical landscapes, ranging from rivers and lakes to mountains and valleys. Age-restricted communities in the Stockton-Modesto area are close to several recreational opportunities. Outdoors, active adults can explore the Pixley National Wildlife Refuge, home of up to 6,000 birds during the wintertime, the Kern National Wildlife Refuge and the Tule Elk State Reserve. 55+ communities in the Stockton-Modesto area are also close to the Swenson Park Golf Course, the Van Buskirk Golf Course, and the Creekside Golf Course. For the wine lovers who choose an active adult community in the Stockton-Modesto area, there are 151,000 acres of vineyard growth in the San Joaqin Valley, creating the largest wine region in the state, leading some to call it the food basket of the world. Residents of age-restricted communities in the Stockton-Modesto area will also enjoy the multifaceted geography. The Stockton-Modesto area is home to the San Joaqin River, Tulare Lake, and the Pacific Ocean just next door, creating several opportunities for fishing and boating. Close to 55+ communities in the Stockton-Modesto area are several state parks and trail heads for going on hikes or a leisurely stroll. The city of Stockton also hosts the Bob Hope Theatre, Art Expressions of San Joaqin, the Haggin Museum, and a Children s Museum for when the grandkids visit. Active adult communities in the Stockton-Modesto area are also close to Modesto s cultural attractions that include the McHenry Mansion, the Great Valley Museum of Natural History, and the Modesto Symphony. Living in active adult communities in the Stockton-Modesto area is great for enjoying a quick show, taking a long hike, or relaxing lakeside. 55+ communities in the Stockton-Modesto area enjoy a cost of living that is generally lower than the rest of the state, although slightly higher than the national average. Housing in Modesto is on average 6 percent higher than the rest of the country while Stockton s housing prices are 1 percent lower, although overall cost of living is approximately 8 percent higher in the overall region. Age-restricted communities in the Stockton-Modesto area do have a much lower cost of living than elsewhere in California, spending approximately 17 percent less than other regions in the state. California as a whole has a 7.5 percent sales tax and a 13.3 percent individual income tax. There is some relief for those who choose a 55+ community in the Stockton-Modesto area, as homeowners who choose California as their primary residence can qualify for a $7,000 reduction in the taxable value of their property. Residents of active adult communities in the Stockton-Modesto area can also find relief in tax programs for seniors with low incomes, an option to postpone property tax payments, and a property tax ceiling, as well as enjoying untaxed Social Security benefits. Active adult communities in the Stockton-Modesto area have several options for health services close by. St. Joseph s Medical Center and Dameron Hospital are in the Stockton area, while Modesto has Doctors Medical Center, Memorial Medical Center, and Stanislaus Surgical Hospital nearby. Residents of active adult communities in the Stockton-Modesto area also have easy access to the medical centers of the Bay area, with the nationally-ranked UCSF Medical Center and the John Muir Medical Center in San Francisco. With a relatively low cost of living, terrific recreational opportunities, and abundant healthcare, it s easy to see why retirees have been flocking to active adult communities in the Stockton-Modesto area.